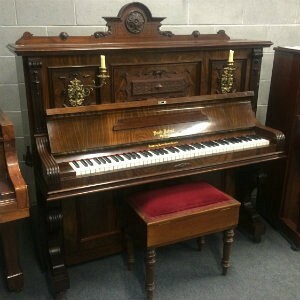 TRY BEFORE YOU BUY, allows you to try one of our second-hand pianos in your home for a 3 month period. 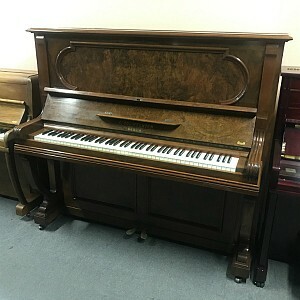 At the end of the 3 month period, you pay the balance of the piano or send it back. This Dream Piano allows you to use your piano in the traditional manner and also play in silence through headphones. 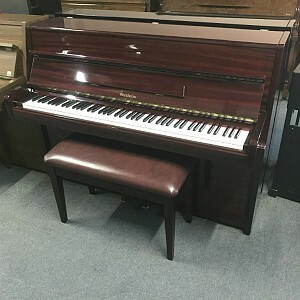 Imagine playing the piano at any time of the day or night without disturbing anyone and also having a traditional acoustic piano in your home. The inclusion of two stereo headphone jacks allow parents or teachers to sit alongside and listen to children practice, or two children can play the piano together without disturbing others. The Alex Steinbach Dream Piano easily switch between acoustic piano and muted piano by pressing down the centre pedal. The volume is adjustable to ten different levels. Samick‘s Dream Piano utilises a ‘Variable Position Detecting’ photo sensing system to ensure that even the slightest key touch is detected and heard through your headphones. A piano or church organ sound may be selected with the press of a button. Dream Piano includes a metronome with tempos between 30-250 beats per minute, nine different beats to cover different time signatures and seven rhythm types (such as triplets, semi-quavers etc). Includes a record function for one song (approx 30,000 notes). 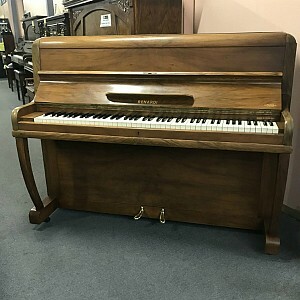 This optional silent play function is available in the Alex Steinbach Romance upright piano models. 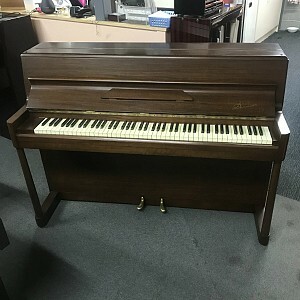 abc Pianos are proud to present the iQ Player Piano. IQ Player systems are now available in a select range of Alex. Steinbach Upright and Grand Pianos, or have the Pianodisc IQ system retro fitted into your existing grand or upright piano. Play your piano or just let your piano play for you. Imagine entertaining your family and friends with your Piano that plays by itself with a (virtual) concert level pianist in your home at the press of a button on your iPad. Just select from over 1000 tunes of your choice from PianoDisc's vast library, then listen and watch as your piano plays by itself. At Dinner Parties or Business Functions or just relax with loved ones with a glass of wine or a cup of coffee and enjoy a fabulous piano concert, as recorded by real pianists in PianoDisc's recording studio in Sacramento, California. You can still play your acoustic piano in the traditional way or switch from playing an authentic acoustic piano to the automated PianoDisc system, simply and easily at the press of a button on the iPad. Enjoy the classics, country, jazz, opera, musicals, themes, Christmas carols, vocal duets with piano and Orchestral performances, plus much more. In fact almost any genre in music you can think of is represented and being added to constantly. You can even connect your PianoDisc Piano to your home theatre system for an incredible sound experience. Ideal in Hotel lobbies, Restaurants, Office foyers and places of Worship. Do you play piano or is there a Budding pianist or two at home? Not a problem. 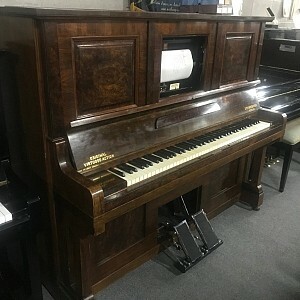 You or your children can practise for their grade exams because it is still a real piano with a proper full-length keyboard, piano keys and action. The sound and tone of the piano is not compromised. Alex. Steinbach pianos are renowned for their excellent quality and many Australian teachers use and recommend the Alex. Steinbach brand to their students. How does your Piano iQ system work? The Piano iQ system is located out of sight, underneath the piano. You will also receive a iPad so you can select the next song or adjust the volume from the comfort of your lounge or dining room. The Piano iQ system is constructed using a combination of amazing mechanics and sophisticated computer technology. 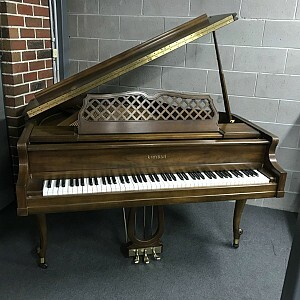 It is an enhanced system, designed to transmit music and performance information to computer driven solenoids concealed within the piano. Each solenoid is capable of reproducing up to 127 different levels of expression. Developed exclusively by PianoDisc, the iQ Player control unit is a CPU and iPad player that reads specially encoded PianoDisc music and transmits the performance information to the playback mechanism in your piano. The iPad allows you to control various aspects of the performance, including playback volume. Piano iQ systems bring a whole new dimension to the household piano! Homeowners will appreciate not only the beauty of an Alex. Steinbach piano, but also the streamlined implementation and well-concealed Piano iQ system. Traditional decor can be preserved while enjoying access to an amazing array of new, contemporary musical possibilities. Many different commercial environments use pianos, including restaurants, bars, hotel lobbies, department stores and shopping centres. Many of these environments are enhanced by the presence of a piano and pianists. However, sometimes a pianist simply isn't available. For those times, a Piano iQ system can fill the void with performances by many of today's most respected pianists. 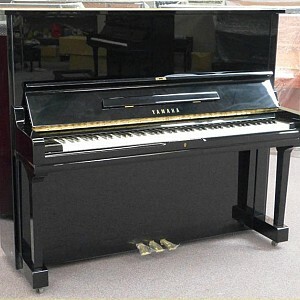 Your clients and customers will surely be impressed with a piano that plays by itself! The Piano iQ control unit is uniquely suited for the worship environment. Several of the selections in the PianoDisc iQ library include performances by many of the best sacred music pianists ever recorded. Beautiful meditation music can enhance many worship services, and PianoDisc recordings of many sacred masterpieces can enhance seasonal events such as Christmas. Your Piano iQ control unit can also be used in the event your pianist is absent from a worship service. Alex. Steinbach PianoDisc pianos are available in a range of models and colours to suit your décor. Colours available are Ebony, Walnut, Mahogany and Ivory polish. All PianoDisc products include a 5-year non-transferable manufacturer’s warranty. Please note, Australian customers should register their PianoDisc warranty with their authorised Alex. 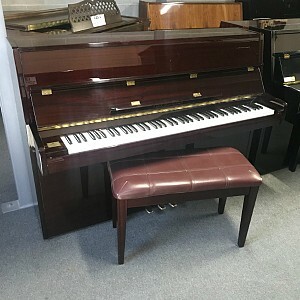 Steinbach dealer store in Australia, not through the American PianoDisc website. All brand New Alex. Steinbach Pianos come with a 'Lifetime Warranty'. Warehouse 5, 6-8 Eastspur Court, Kilsyth South.